Welcome to Fabulous Las Vegas in High 5 Casino’s 256th game! Lucky Strip is coming to a H5C lobby near you! Become utterly absorbed with the explosive atmosphere as you visit the bright lights city to find your lucky streak! Your main goal is to hit it big in this high stakes threshold. Grab your chips and find your fortune as you fold ‘em, roll ‘em, and spin the wheel for your premium bonus! Are you ready let the winning fever take you away with Super Stacks, the Collection Bonus, and the Pick Bonus? Comment in the conversation bubble located on the top right corner of your screen and let us know what you think! 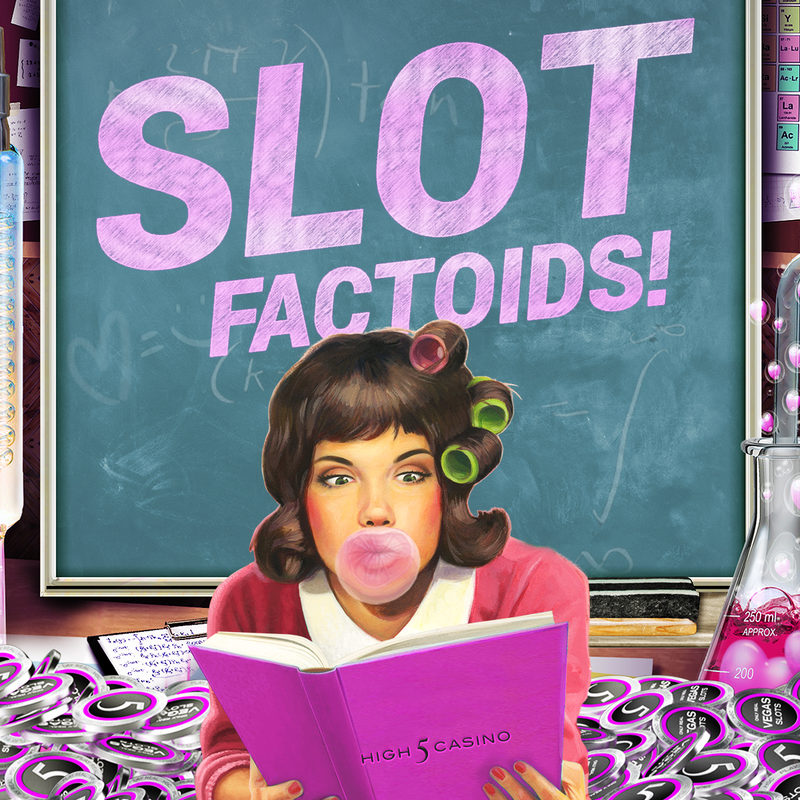 Slot Factoid is back! In the previous edition, we included some fascinating facts such as the number of slot machines and hotel rooms in Las Vegas and the cost of the first Jackpot Machine. Today at High 5 Blog, we’ll continue sharing some interesting and important facts about slot machines with our slot lovers. Fact #5 Slot machines didn’t always give out cash prizes! Slot machines had become a fixture in several drinking establishments, and during Prohibition in the late 19th and early 20th century, alcohol and gambling were made illegal across the United States. This meant that in order to keep up with the time, Slot machines were “replaced” with fruit machines. These machines dispensed fruit candies and gum instead of cash prices. However, Speakeasies were not only places where patrons could enjoy alcohol illegally, they could also enjoy the original slot machines! Fact 6# You’ll never believe this about the Las Vegas Strip! Did you know that the Famous Las Vegas Strip is not located within the city limits of Las Vegas! The strip actually comes under the jurisdiction of Clark County! What kind of facts would you like to know about on the next Slot Factoid blog? Comment in the conversation bubble located on the top right corner of this blog and let us know.